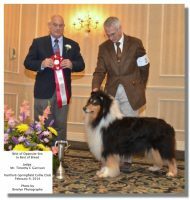 Hi, I am Jane Hoover of Fawn Ridge Collies and I have been around since the early 80’s. I have been active in Conformation and breeding. I have also been a member Of the Collie Club of America since 1985. I strive for Beauty, Expression, Soundness, Health, Temperment and correct conformation! We are dedicated to the Health, well being and the Beauty of the collie.